Recently a lovely lady called Heather Von St. James who is a 10 year mesothelioma cancer survivor contacted me. Her aim is to try and spread as much awareness as she can for this rare but in most cases preventable disease. I was honoured that she wished me to help, which is why I have put together this post detailing some information on the disease. I cannot begin to imagine what it must be like or how I would react to being told ‘you have cancer’. The idea of something like that is a deeply terrifying thought to most. The sad thing about our society currently is that all most everyone has experienced some sort of deep despair due to cancer, whether that be their own or linked to a loved one. Cancer - a malignant growth or tumour due to an uncontrolled division and multiplication of cells within the body. 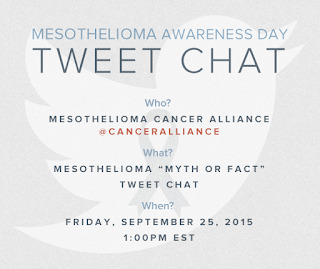 Mesothelioma is a form of cancer that commonly develops in the tissues covering the lungs or abdomen. It is a cancer of the mesothelial cells hence its name. Mesothelial cells are pavement like cells that line the body's serous cavities and internal organs, they form a lining called the mesothelium. Commonly 75% of mesotheliomas occur in the chest (pleural mesothelioma) with the remaining 25% occurring in the abdomen (peritoneal mesothelioma). Mesothelioma is a rare cancer, however it seems recently more and more cases are being presented. 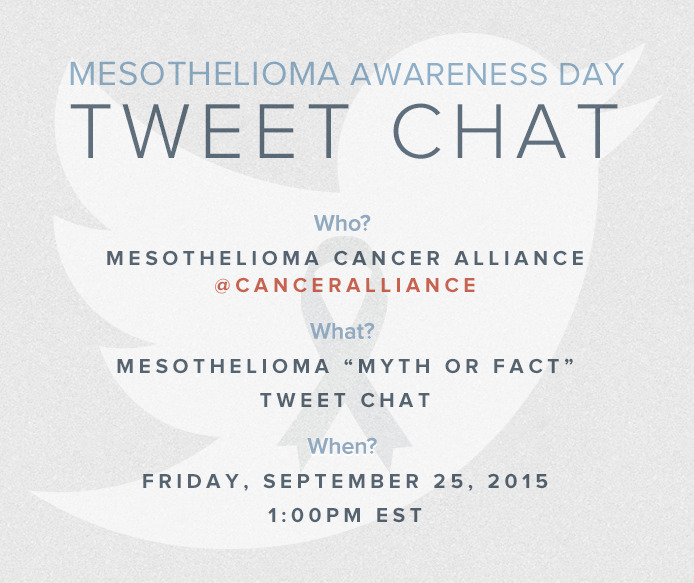 More than 2,500 people are diagnosed with mesothelioma in the UK each year, with over 3,000 in America. Evidence from many scientific studies appear to show that most cases of pleural mesothelioma are directly caused from exposure to asbestos. This risk is greater if the person in question was exposed to large amounts of it from an early age or for prolonged periods of time. The same seems to be true for many of those diagnosed with peritoneal mesothelioma. Asbestos is a heat and fire resistant insulting material that was used widely in building and manufacturing industries up until the mid 1970’s. Asbestos can be found in three main forms brown, blue and white. Brown and blue asbestos are strongly linked with the development of mesothelioma, while more recent studies are now uncovering the dangers of white asbestos. Asbestos in brown and blue forms have been banned in the UK since the late 1980’s, while white has only been banned since 1999. A causal link between asbestos and lung disease has been known since the 18th century, with the link between asbestos and mesothelioma only realised in the 1960's. Unfortunately the number of people diagnosed with mesothelioma in the UK and America is predicted to rise sharply for the next few years peaking in 2016 because of the heavy use of asbestos in industry from the end of the Second World War up until the mid 1970s. Despite the infinite amount of information out there stating the dangers of asbestos and its link to mesothelioma, it is not completely banned in all its forms in many countries. Who is most at risk to developing Mesothelioma? · Family members of people exposed to asbestos at work can also be exposed because the workers can carry home asbestos fibres on their clothes. This is not to say you are definitely at risk if you work in these areas now, the higher risk is for those who worked in these sectors at times of when asbestos was being used. This is not a definitive list of symptoms and just because you have some of these does not mean you should jump to the conclusion of cancer. Other factors such as occupation, age and exposure risk should be taken into account also. I am worried I may be at risk what do I do? Speak to your doctor or health practitioner they will be better able to help you and accurately judge whether you may or may not be at risk of developing mesothelioma. I want to help what can do? · Share articles like this and Heathers story to spread awareness and reach a wider audience, stopping this cancer being kept in the dark. · Sign petitions stating we want firm bans on asbestos and safer removal plans for when it is found in buildings. · Take part in the twitter chat on the 25th of September. I truly wish Heather all the best and hope she can carry on her brilliant work. It takes a very strong person to decide that this is not something they will let rule them but flip it around and be so proactive in their work. If you are currently in the UK like me you would have most definitely noticed it is not summer anymore. This means autumn and winter is on the way bringing along with it the comfort food. This doesn't mean however you need to give up on healthy options. This creamy healthy tomato soup is vegan, low in calories and fat but tastes delicious and indulgent! It is very easy to make and requires almost no effort. This recipe would also be fantastic in a slow cooker as once in the pan requires no further input, perfect for when you come in from the cold and don’t want to spend your evening slaving away over a hot stove. 1. An optional first step is to blanch your tomatoes and remove the skin, I personally didn’t as I was feeling lazy and don’t mind the texture this adds to the soup. However if you desire a smooth silky texture do follow this step. To blanch simply pour boiling water over your tomatoes in a heat proof bowl once you see the skins start to peel away pour very cold water over the top and peel off the skin using your fingers, it should come away very easily with no resistance. 2. Slice your tomatoes in quarters and remove the inner stalk at the top, cut the rest of your veggies, this doesn’t have to be neat or particularity small as the soup will be blended. · Top tip! When cooking with spring onions, make sure you wash them thoroughly as often the top parts can have hidden grit in. 3. Put all vegetables in the pan and crumble any stock cube of your choice over the top, pour in boiling water till it is level with the top of the veg. You don’t want to over fill on water as the tomatoes will condense down and you will be adding some coconut milk at the end. 4. Let the soup simmer away for 30 minutes, try not to let the water boil as this will affect the end taste. 5. Prepare the creamed coconut by mixing 50g of the solid product with 150ml of boiling water, stirring till smooth. 6. Once the 30 minutes is up add the coconut mixture, blend and enjoy! This soup is 100% vegan and should serve 2-4 people depending on whether it is being used as a main meal or starter.